Partners include audience development agencies, festivals, multi-arts centres and a regional government agency. They span EU countries such as Spain, Italy, Norway, Romania, Croatia, Slovenia, Belgium and the UK. 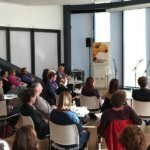 A four-year Europe-wide project aimed at improving international engagement with family-friendly arts events is to be launched. It is being overseen by the Family Arts Campaign, which was launched in 2013 and which is teaming up with eight European partners to develop and share work and practices through various strands of activity. Campaign manager Mari O’Neill said the new Family Arts Campaign Europe, which will take place between 2016 and 2020, will commission and programme theatre, dance, music and visual arts, as well as engage directly with families, collate resources and commission new research. It will also comprise four annual conferences, the first of which will be held in the UK in 2016. “In some countries the idea of the arts for families specifically is new. They have arts activities for children and arts activities for adults but have not necessarily considered the family unit as a whole. All the partners have expressed an interest in bringing that idea to life,” she said. The new campaign will apply for Creative Europe funding later this year, before launching officially in 2016. O’Neill added that the European project would be building on the work achieved over the last two years by the Family Arts Campaign in the UK. 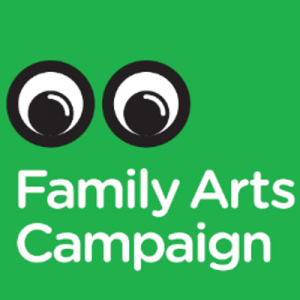 The Family Arts Campaign Europe was introduced at the Family Arts Conference in London last week, where it was also announced that the UK’s Family Arts Campaign was working with Creative Scotland and Arts Council Northern Ireland to develop an support more activity across the whole of the UK.